Breaky Inspiration: Rye and banana pancakes (or pikelets) with vanilla yoghurt, strawberries and Manuka honey… | Hey Bernice! 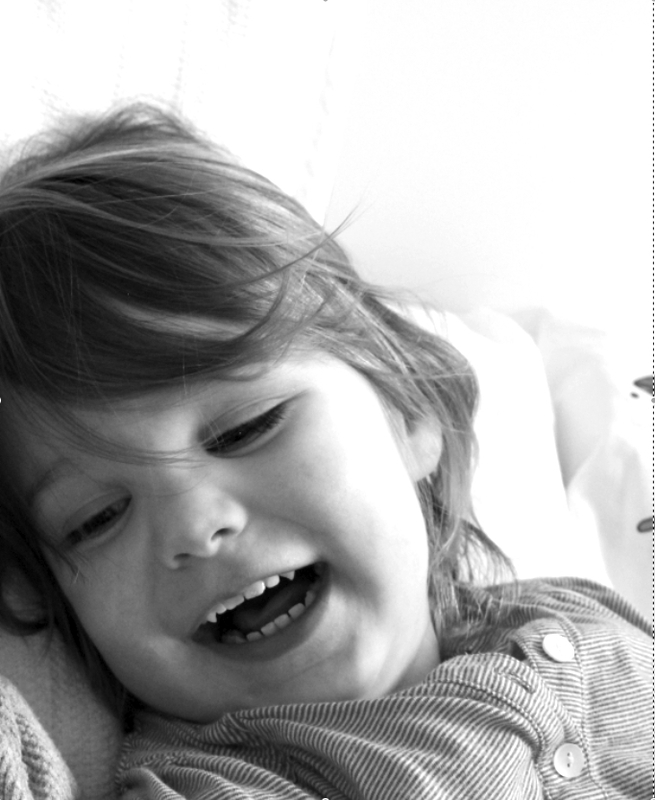 My chief helper Heidi loves pancakes (and yes… I happen to like them a bit too) . What’s not to love about them? If we can make them a little healthier there’s a bonus reason to LOVE them. My wonderfully talented husband (who is brilliant in the kitchen) has always placed sliced banana in his pancakes. It is such a simple way to spice up a pancake with that sweet, caramelised (almost indulgent) banana flavour. Today I tried making the pancakes with rye flour… and they were SO GOOD! Heidi didn’t even notice when they were a little darker in colour, or the texture slightly more wholesome – which is amazing for my gorgeous 2.5 year who notices everything. Sift flour and baking powder into a large bowl. Stir in sugar and make a well in the centre. Whisk buttermilk (or milk), egg and 1/4 cup of water in a jug. Gradually pour into dry ingredients, whisking until smooth. Heat a large heavy-based frying pan over medium heat. Lightly coat with olive oil. Spoon 1/4 cup of batter into pan. Once bubbles appear on surface, flip pancake over. Allow to cook for a further 2 minutes or until golden brown on both sides. Transfer to a plate. Repeat with the remaining batter. Divide pancakes among plates. Serve with strawberries, yoghurt and drizzle with Honey (or Maple syrup). 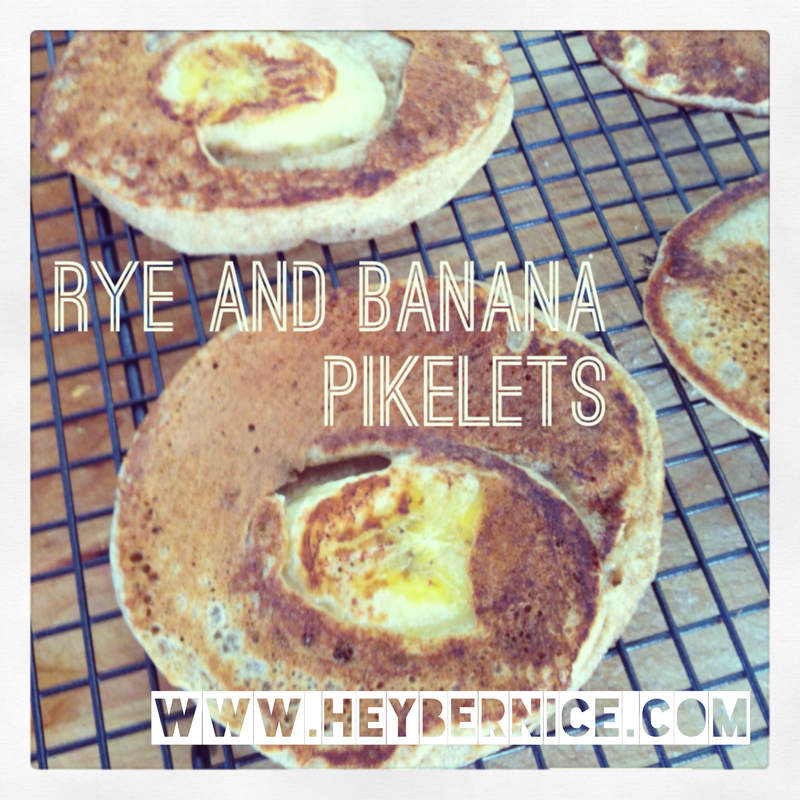 I usually have some left over batter, which I use to make pikelets placing one piece of banana in the middle of each – they’re a hit with the kids (even cold)! These are a must try this weekend… go on!